For Australia, 1974 is the year when the city of Darwin, Northern Territory, got flattened by cyclone Tracy. Cyclone Tracy was the end of a bad year, Christmas to be exact — the culmination of many meteorological disasters around the world — and around Australia, including the Brisbane floods. We could list all these 1974 worldwide weather disasters, but we’ll only note a few from the Bangladeshi floods that killed nearly 30,000 people to one of the worse tornado season in the US’s Tornado Alley. 1974 was also the year that Richard Nixon resigned (August 9). This had nothing to do with climate, but a bucket of dirty “water” — Watergate. In the 1970s, climate variations studies were already on the horizon, but not as one would have expected. The 1974 experience was worrying… There had been a warm peak in 1939-40 and from then on it seemed to be going downhill. In the late 19th century, Svante Arrhenius, a Swedish scientist, had worked out a formula to establish what induced ice ages and warmer climes. His assessment was not far off the mark. By his calculations done according to his rigorous seat-of-the-pants mathematics and exacting scientific records for the times let him to assert that for an ice age to occur, half of the CO2 in the atmosphere had to disappear. This would lead the earth surface temperature to drop by around 6 degrees worldwide and induce an ice age. His next prognosis was that the industrialisation of the world was going to raise temperatures by 2 degrees Celsius and that this would have benefits. But in the 1970s, there were still many conflicting analysis of climate. Whatever the cause of the cooling trend, its effects could be extremely serious, if not catastrophic. Scientists figure that only a 1% decrease in the amount of sunlight hitting the earth’s surface could tip the climatic balance, and cool the planet enough to send it sliding down the road to another ice age within only a few hundred years. Amazing assessments here. Nothing really scientifically precise though. Despite the “new” sciences of the 1920s, Relativity and Quantum mechanics, many other sciences were still lagging in ‘accuracy”. For example, the geological timeline was a bit fanciful, not due to the efforts to understand but because of reference points that were time-wise iffy. The discovery of nuclear decay helped a lot to expand the knowledge and precision. Nuclear decay in isotopes can be measured precisely, though no-one knows what really induces this ‘decay”, thus the proportion of natural elements and their isotopes can indicate “a length of time” with high precision. 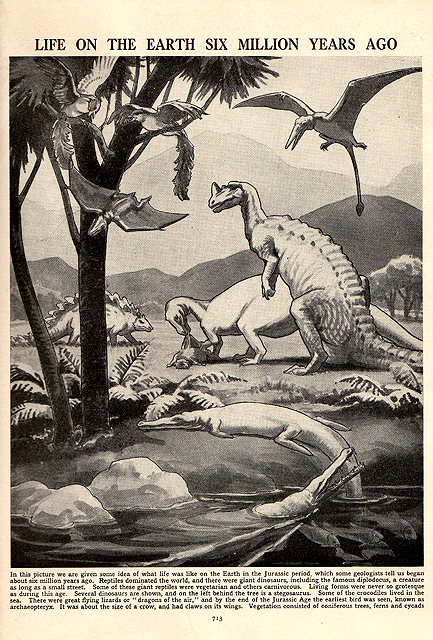 We’ve all heard (or we should have) of carbon dating, etc… Soon, dinosaurs, a group of animal species left behind by Noah because they were too big (joke), became extinct by 65 million years ago, not by 5 million years ago as were thought in the early 1930s. We must mention that climate and weather are linked. Though it is very difficult to predict weather, it is possible to calculate the trends of “climate change” presently manifested as GLOBAL WARMING, with high accuracy. But science in the 1970s was still sputtering badly about the issue. The calculations done by Arrhenius did not match the observations. This came for several reasons, including that the compilation of historical records was sketchy and patterns of weather were often mistaken for climatic trends. The cooling of 1974 was a hard one to understand. 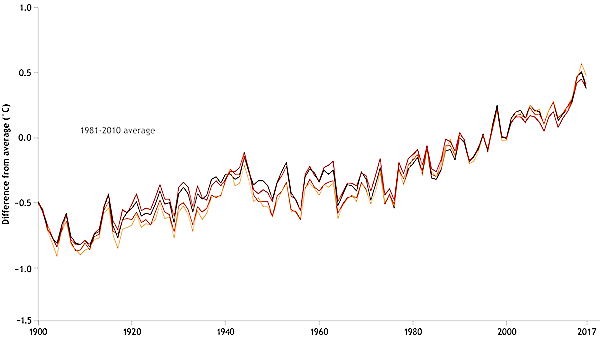 Between 1973 and 1974, the temperature worldwide fell by 0.3 degrees Celsius. This was a major drop, considering that present CO2 induced global warming trend is around 0.03 (“accelerating”) per annum. This drop led to a major panic that the average church-going Joe, had no clue about, though it prompted some major “scientific” and political rethink. This was in line with the article in The Sydney Morning Herald, published on Saturday 29th of February 1959. In 1959, science was still going as if the "natural" rhythms of climate were in charge. As I have mentioned before on this site, science believed rightly that the earth's climate was going towards another ice age. This was based on the study of the Milankovitch cycles and previous paleo-geological trends. Nothing wrong with these, except Svante Arrhenius quite amazing calculations based on Tyndall scientific discovery of CO2 as a “warming gas”, had been forgotten. The EXTRA CO2 added by humans burning fossil fuels, according to Arrhenius would soon add an extra 2 degrees Celsius to the average temperatures. Politics and sciences were still in a state of confusion after WW2. Misunderstandings and the cold war made life uncertain. The grey bad weather of 1974 added gloom to this uncertainty. To the contrary, Arrhenius, a no-nonsense scientist of the end of the 19th century, was precise, concise, with an observe/formulate/explain/predict visionary common sense. He had many detractors then — but politics were, are and will never be a place for common sense. See cartoon “by burning coal, the black soot will prevent the great barrier reef turning white, no? 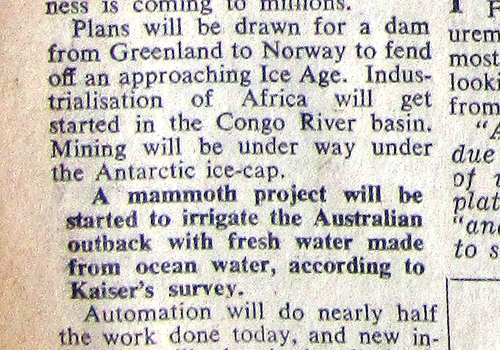 So, according to the 1959 article, the boffins were also planning a big dam from Greenland to Norway to “stop the ice”. So what happened in 1974? The massive differential of temperature (0.3 degree Celsius) between 1973 and 1974 was induced by a sudden change from a severe El Nino to a severe La Nina. As noted the change was quite brutal. The record tornado count in Tornado Alley prompted more study of the weather patterns and predict to probability of tornado formation. This record of the number of tornadoes for a single day was beaten a few years ago. So more had to be done on the weather front and on “climate change”. By the mid-1980s, the petroleum companies scientists knew that burning fossil fuels was inducing global warming. The plateau of surface temperatures between 1940 and 1980, that had been tilting towards cooling was reversing at a rate of knots towards warming. It has to be said that further observations showed that, overall, world surface temperatures had gained more than half a degree since the beginning of industrialisation, in the 1850s. In the Middle-Ages, there had been a period of warming as well, mostly natural, that was exploited by the Vikings “colonising” Greenland. As well some religious scholars point to the period of Jesus Christ, which they say was warmer than now. No way knowing this one, though it could be, but it is irrelevant to our “next”. “Our next” can be predicted, within worrying ranges, by sciences: with the amount of CO2 already added in the atmosphere, temperatures of the surface of the planet can be expected to rise between 6 and 9 degrees Celsius, in about 150 to 200 years from now. If 1974 was a brutal year, weather-wise WE HAVE NOT SEEN ANY THING YET. We have already reached 1 degrees Celsius above the new average, which discounts the years prior 1950. From the 1850, the average temperature of the surface of the planet has risen more than 1.5 degrees Celsius. So what are we going to do about it? Apparently: NOTHING, according to our Scummo, who Christianly bleeds like Christ on the cross for your salvation, at the thought of your secular electricity bills, probably pumped up by the Devil AGL. Thus contrary to common sense, we are going to burn more fossil fuels to keep cool. Makes sense? Nupe. People like Scummo are dumb. They would not understand the complexity and urgency of the problem we face. An exceptionally high tide has inundated Venice, putting three-quarters of the famous Italian city under water as large swathes of the country experience deadly flooding and heavy winds. Six people died in four separate incidents in Naples, Lazio and Liguria, after gale-force winds brought down trees. Tourists and residents of Venice donned high boots to navigate the city's streets, after strong winds raised the water level by more than 1.5 metres before receding. The water exceeded the raised walkways normally put out in flooded areas in Venice, forcing their removal. Transport officials closed the water bus system except to outlying islands because of the emergency. The first documented description of acqua alta in Venice concerns the year 782 and is followed by other documented events in 840, 885, and 1102. In 1110 the water, following a violent sea storm (or, possibly, a seaquake and its subsequent tsunami), completely destroyed Metamauco (ancient name for Malamocco), Venice's political centre before the Doge's residence was moved to Rialto. Local chroniclers report that in 1240 "the water (that) flooded the streets (was) higher than a man". Other events are recorded to have occurred in 1268, 1280, 1282, and on December 20, 1283, which was probably an abnormally significant event, since a chronicle reported that Venice was "saved by a miracle". Chroniclers report that high tides occurred in 1286, 1297, and 1314; on February 15, 1340; on February 25, 1341; on January 18, 1386; and on May 31 and August 10, 1410. In the 15th century, high tides were recorded in 1419 and 1423, on May 11, 1428, and on October 10, 1430, as well as in 1444 and 1445. On November 10, 1442, the water is reported to have risen "four feet above the usual". High waters were recorded on May 29, 1511; in 1517; on October 16, 1521; on October 3 and, again, on December 20, 1535. Local chronicles also attest to floods occurring in 1543; on November 21, 1550; on October 12, 1559; and in 1599. The year 1600 was characterized by a high frequency of events, with floods on December 8 as well as December 18 and 19. The latter event was probably remarkable, since there are also records of very violent sea storms that, having "broken indeed the shores in several places, entered the towns of Lido Maggiore, Tre Porti, Malamocco, Chiozza, et cetera". Another noteworthy acqua alta took place on November 5, 1686. Several chronicles of the time, among them one written by a scientist, concur in reporting that "the waters reached the outdoor floor of ... [Sansovino's] Lodge", which is the monumental entrance to the Campanile di San Marco. A similar level was reached during the exceptional flood of November 4, 1966, which allowed scholars in the late 1960s to recreate a likely scenario for the 1686 flood. 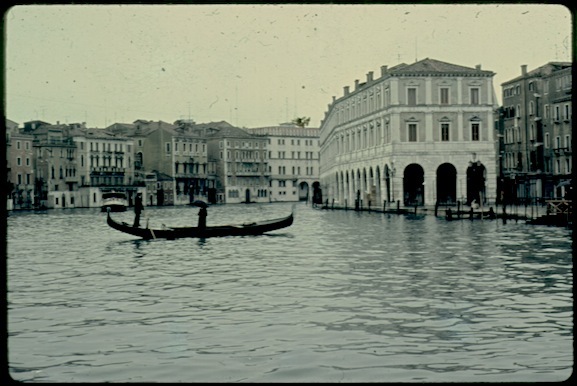 After accounting for the rebuilding of the Lodge after the 1902 fall of the Campanile and for subsidence, estimates concluded that the tide may have been as high as 254 cm. above today's standard sea level. In the 18th century, records became more abundant and precise, reporting acque alte on December 21, 1727; New Year's Eve, 1738; October 7, 1729; November 5 and 28, 1742; October 31, 1746; November 4, 1748; October 31, 1749; October 9, 1750; Christmas Eve, 1792; and on Christmas Day, 1794. The 1974 Super Outbreak was the second-largest tornado outbreak on record for a single 24-hour period, just behind the 2011 Super Outbreak. It was also the most violent tornado outbreak ever recorded, with 30 F4/F5 tornadoes confirmed. From April 3 to 4, 1974, there were 148 tornadoes confirmed in 13 U.S. states and the Canadian province of Ontario. [nb 1] In the United States, tornadoes struck Illinois, Indiana, Michigan, Ohio, Kentucky, Tennessee, Alabama, Mississippi, Georgia, North Carolina, Virginia, West Virginia, and New York. The entire outbreak caused more than $600 million (1974 USD) in damage in the United States alone, and extensively damaged approximately 900 sq mi (2,331 km2) along a total combined path length of 2,600 mi (4,184 km). At one point, as many as 15 separate tornadoes were ongoing at the same time.The 1974 Super Outbreak was the first tornado outbreak in recorded history to produce more than 100 tornadoes in under a 24 hour period, a feat that was not repeated globally until the 1981 United Kingdom tornado outbreakand in the United States until the 2011 Super Outbreak. Why is the IPCC “so concerned” about rising temperatures above 1.5 degree Celsius? When Svante Arrhenius wrote that a rise of 2 degrees Celsius would be beneficial, he was already accounting for what had been emitted plus a little bit more of what would come in the next 20 years after his calculations. As well, Arrhenius — despite his thorough analysis of what global warming is — only mentioned that an increase of 2 degrees Celsius would benefit European crops, mostly in his neck of the wood — Sweden. And he could have been right on this score. Worldwide, this would be disastrous. The details, why this increase of two degrees Celsius was such a bad idea, are numerous — from changes in the climatic balance, excessive heat, more droughts and floods, and rising sea levels. Our present problem is that the main global warming effects are masked by the melting of the ice in our whisky. We can see the ice melting but the whisky is barely warming. This is normal. Until most of the ice has melted, such feedback mechanisms are momentarily hiding the full potential dangers of CO2 warming. Meanwhile, the IPCC language is that of “corporatespeak”, a diluted newspeak dialect adapted for the dummies of the corporate ladder, seven year old kids and for the opportunistic hubristical politicians — so they can “understand”. They don’t. They don’t care. They're actually anti-IPCC. No matter what. Look at our Scummo and co.
Scientifically the IPCC reports appear to Gus as weak as a moribund Popeye without his spinach. They are actually dangerously dishwatery — as reluctantly since the Kyoto protocol, they seem to provide a snail pace solution towards the end of time, with a bit of finger pointing at the oil, coal and gas industries. The other problem with the IPCC reports is that they include poverty in the equation. Though well-meaning, this will get the corporate bristles to rattle like snakes in the grass. . . Meanwhile the right-wing political hubristers and shockjockers will claim that the UN IPCC is a communist plot, designed to prevent free trade and to promote socialism. For them, charity should be enough to keep the poor surviving where they are. Dead poor people, unless they are those we bomb in Yemen, are a bit untidy. Policymakers’ conventional wisdom? Where have you been? Isn’t this totally wrong? When was the last time you saw your “policymakers” wisdom? In a dump near Grenfell? In a Lord’s rotary blender? In a sunk Trident submarine? On the issue of global warming, most “policymakers” have left their brains to turd polishers. Enters Donald, the brain of whom is replaced by a toilet seat in the cartoons by Steve Bell. So we need to do more to shake the apple tree. The IPCC isn’t doing enough and most countries give lip service to this "not doing enough" anyway — Australia included. We’re still tracking towards 2032. Will it be worse that 1974? 1974 was a picnic. 2032 will be the beginning of hell, though we have been knocking on its door since we started burning coals. Read from top. The temperatures from 1939 to 1980 went "south" a little bit, until they shot through the roof... See article at top.